Hi! 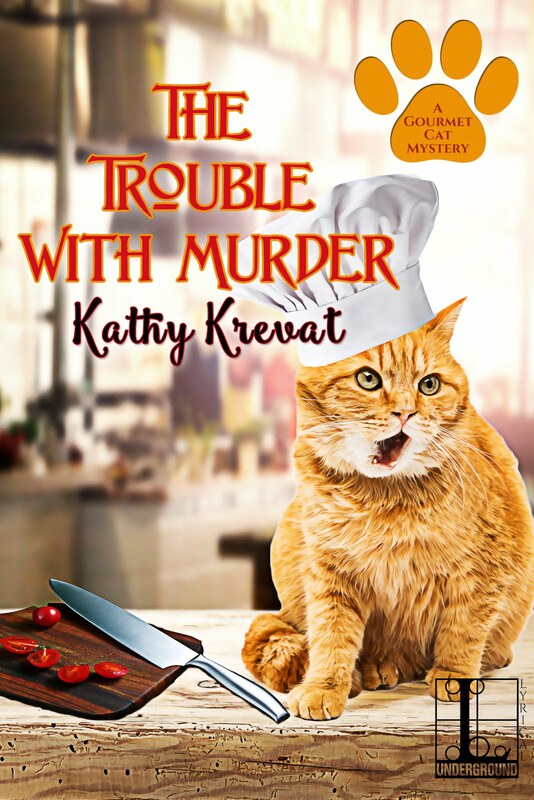 I’m Lani Nakano, Colbie Summers’ best friend in the Gourmet Cat Mystery series by Kathy Krevat. Colbie runs the Meowio Batali Gourmet Cat Food Company specializing in organic, human grade food for cats with issues or cat owners who want the best for their pets. She started making food for her cat Trouble when she was just a tiny kitten and couldn’t keep anything down. Then her friends started asking for it for their cats, and soon after, Meowio was born! We’ve been bffs for ages, ever since I volunteered to design costumes for her son Elliott’s junior musical theater group. I own Find Your Re-Purpose, and I create new designer clothing with used clothes. Some think my designs are a bit too adventurous, but I love creating something new and beautiful from the old. 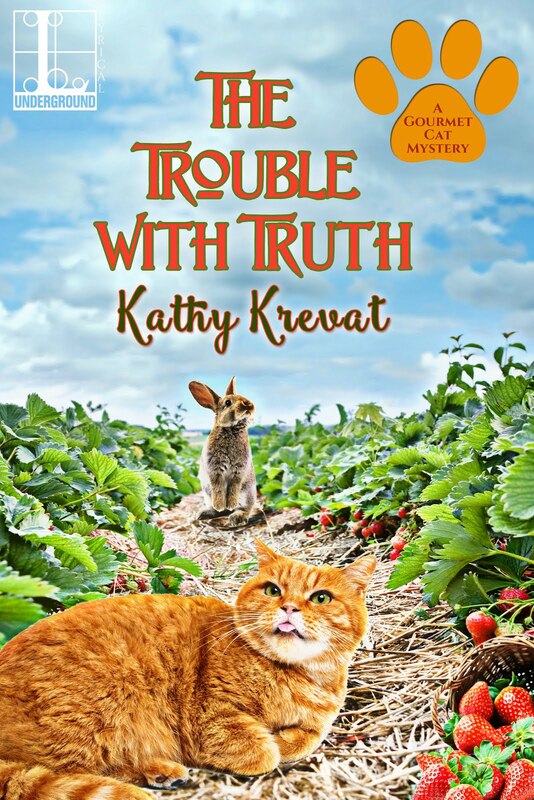 In THE TROUBLE WITH TRUTH (out August 28), Colbie may have gone a little too far – she’s hiding a suspected killer! Of course, Mira is an ex-foster kid who works for her and Colbie knows she isn’t capable of murder. But Mira had a good reason to kill the biggest housing developer in Sunnyside, California. But then, it seems like a lot of other people did too! Now for the Giveaway! Okay, name TWO COLORS that you think absolutely do NOT go together for a chance to win a Kindle copy of the first book in the series, THE TROUBLE WITH MURDER. I might just prove you wrong in a future book! 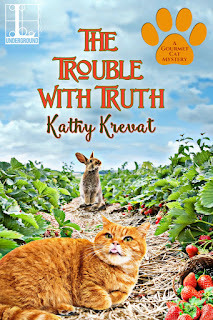 BTW, our author, Kathy Krevat, has written another great series writing as Kathy Aarons. 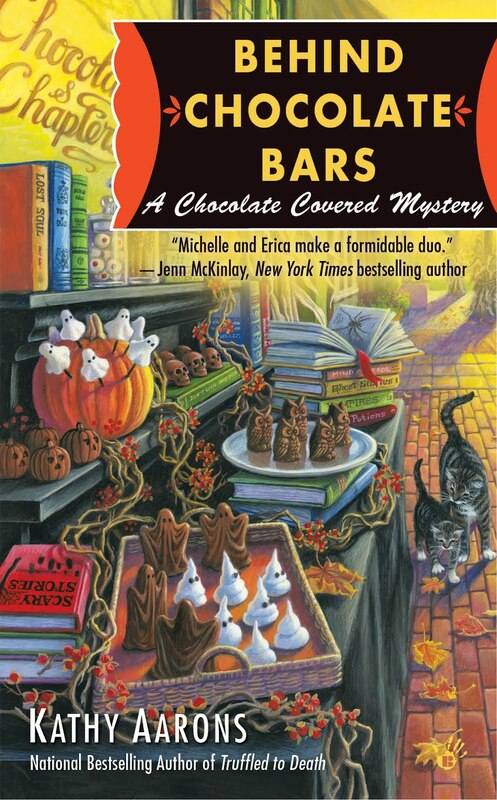 Here are the covers of the Chocolate Covered Mystery books. Thank you! The cover artist is awesome! I have to agree about orange & pink, but now I have to google it. Pink's my favorite color. I love it with orange, yellow, lime or avacado green & turquoise too. Crazy Cat Lady, it probably depends on the exact colors, and I'm sure some shades of orange and pink look just fine together. If it works for you, go for it! That's so funny - Lani uses that combo in The Trouble With Truth! Here's the paragraph: "When I got closer, I could see that she’d created the dress by sewing together panels using three very different patterns, each containing lavender and green. It should have been a disaster, but instead it was fabulous." They seem similar enough to me to work - maybe it depends on the shade? Good luck! I've learned a lot about cat digestive issues! I agree with the purple and orange, but Lani can surprise you. Good luck! For me, it has always been red and orange. I know they are analagous colours (beside each other on the color wheel), and that you can use analagous color schemes, but just those 2 together always makes me cringe. Like I responded above, I think it's all about the shade. Good luck! That's a hard one. As a painter, I think they can all be made to serve side by side. You must be much better at colors than me. I read years ago that some people have more rods and cones in their eyes and can see many more variations in shades than most people. Good luck! Oh yeah. But I write on neon pink paper, which for some reason is inspiring to me. Good luck! I don't think I'm mind that but it depends on the shades. Good luck! I don't think I'D mind. Sheesh. Sorry for the typo! That's a popular answer! Good luck! You're right. I can't imagine that. Good luck! Most popular answer. Maybe Lani has to try it! Good luck! I think it depends on the shades of pink and red. Good luck! Yes - that doesn't seem like it could ever work. Good luck! I can't even picture it. Good luck! Navy & black. I don't think they do anything at all for each other. Go either all navy or all black. And, I know I'm the minority, but I love pink & orange. I've seen navy and black work in a dress. Good luck! I love your name! It's really fun to imagine clothes in all of these colors. Good luck! Neon pink is hard with a lot of colors. Good luck! Chocolate brown and khaki - can you just imagine. Camouflage time. I see that sometimes. Good luck! I don't think lime green and orange would look good together. I don't care for brown and yellow but maybe that's just me. Thanks for the chance to win! I can't imagine those two together, but I like both colors. Good luck! Oh yeah, didn't even think about mixing patterns. That is hard on the eyes. Good luck! I don’t think. Orange and Pink go together. Thank you for a chance to read your book. Two of the favorites, or least favorites. :-) Good luck! I agree! And I think some people are talented enough to find them. Good luck! I think it might depend on the shade of blue. Good luck! I'm not a fan of grey, so I think you're right. Good luck! Right! But both are two of my favorite colors. Good luck! Wow, so many to choose from. I don't think lime green and hot pink would go well together. Not sure why, but that was what I thought. 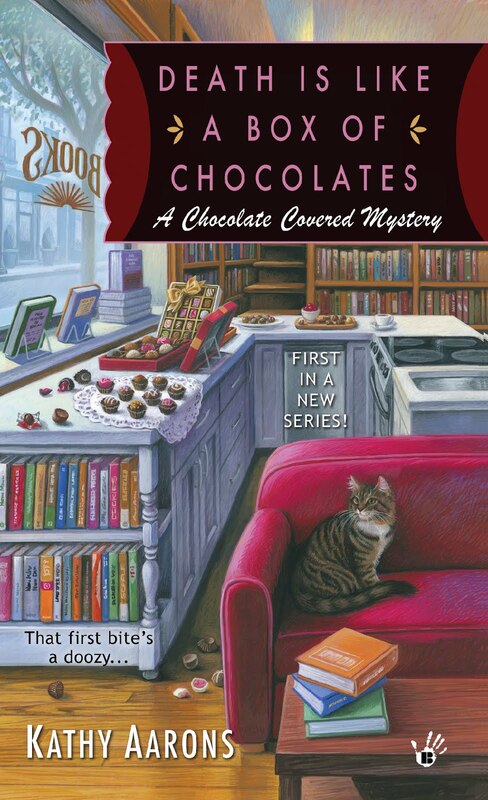 I really want to check out Chocolate Covered Mystery Series. I just love chocolate. Me too! "Research" was very fun! I hope you enjoy it! Good luck! Might depend on the shade. Good luck! Ugh. I don't blame him! I like light walls myself. Good luck! 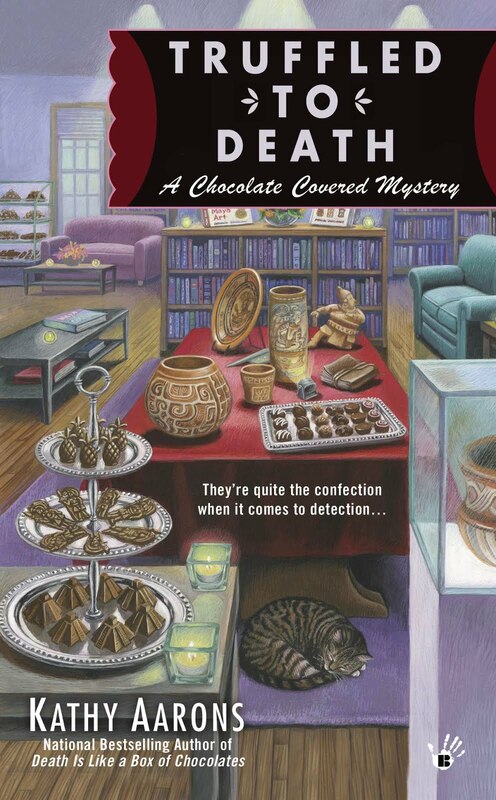 Thanks so much to Lani Nakano for a great post and to Kathy Krevat for her terrific giveaway. Contest is now closed and the winner has been notified. So happy to have so many visitors here at Killer Characters.